Esli Pelly's Living Easter Basket Workshop was a Smashing Success! Our first ever City Farmhouse Learn & Grow Workshop on Tuesday evening was wildly fun and successful, if I do say so myself .... and it was echoed by all in attendance! 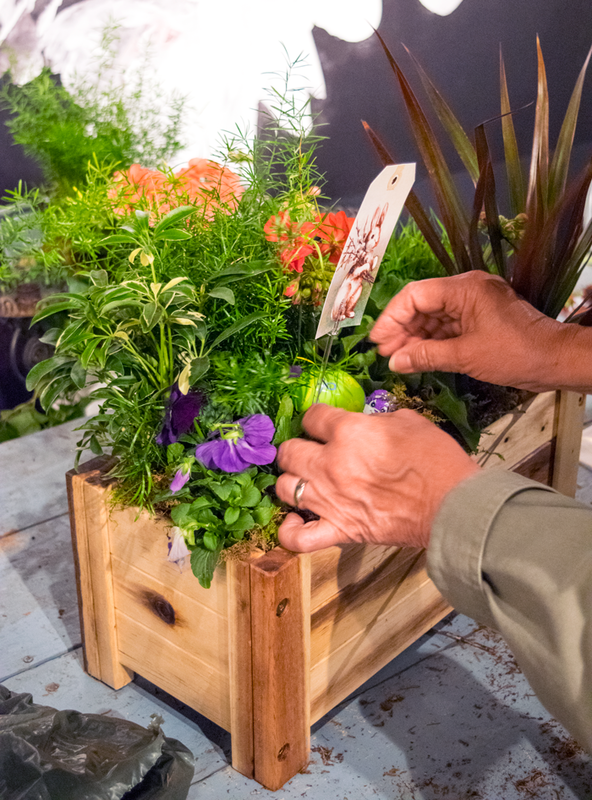 Twenty-four DIY floral designers joined horticultural expert and grower, Esli Pelly from The Garden Patch in Smith's Grove, Kentucky to create a Living Easter Basket that they personally put together and then took home to display during their Easter holiday celebration. But, the evening was as much about community and fellowship as the beautiful arrangements that each took home. Upon arrival each "new friend & some old" as we prefer to call them, sipped on wine, nippled on a picnic-y supper and got to know each other and Esli. When, Esli took center stage the fun began ... she's such a bubbly soul and that within itself sent spirits souring. Here's a tiny fragment preview of the high energy evening. To view the Facebook live videos (there are 2, hop on over to our Facebook page here). Sandy Doris putting it all together! Love that she selected a vintage folk art basket made from barbed wire! 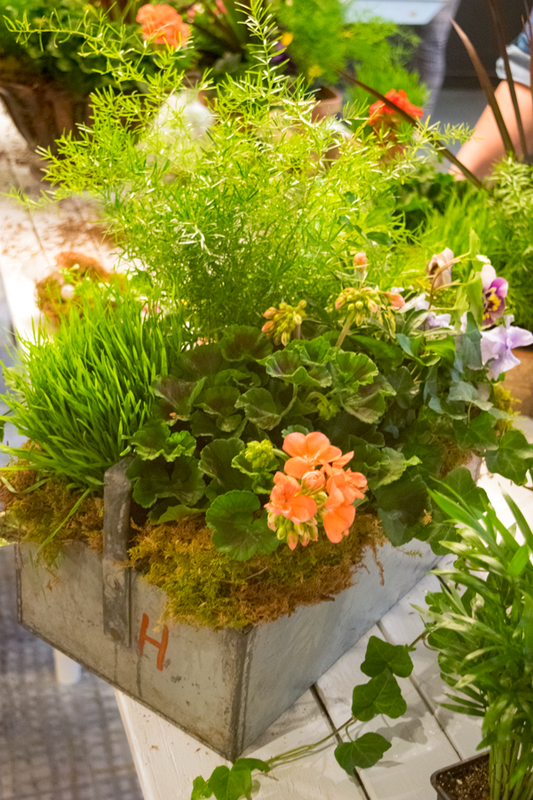 I love that each person selected containers that expressed their personal style! Join us for more fun on May 4 when City Farmhouse presents another fun Learn & Grow Workshop!